Deepshikha represents individuals and companies in a variety of commercial and insurance related disputes, including commercial contractual matters, professional liability, product liability, construction, environmental matters, personal injury, real estate, copyright and complex class actions brought under the Class Action legislation. Deepshikha has appeared and has been successful before several courts and administrative tribunals including the Ontario Superior Court of Justice, the Ontario Divisional Court, the Ontario Court of Appeal and the Ontario Racing Commission. 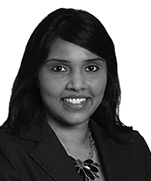 Deepshikha also has an active alternate dispute resolution practice and has represented clients in arbitrations and mediations. Deepshikha is involved in several pro bono projects that the firm participates in. Deepshikha is also a licenced lawyer in India with the Bar Council of India. 11867009 Ontario Inc. v. Gerstein, 2016 ONSC 133: Representing the directors, officers and accountants in an ongoing property and professional liability action. In this motion we were successful in dismissing part of the action against our client. Holmes v. Schonfeld Inc., 2016 ONCA 148: Representing the accountants in the Court of Appeal in an ongoing professional liability tax action. Daverne v. John Switzer Fuels et al. v. Aon Reed et al. : Representing the accountants in an ongoing professional negligence action and insurance coverage issues. 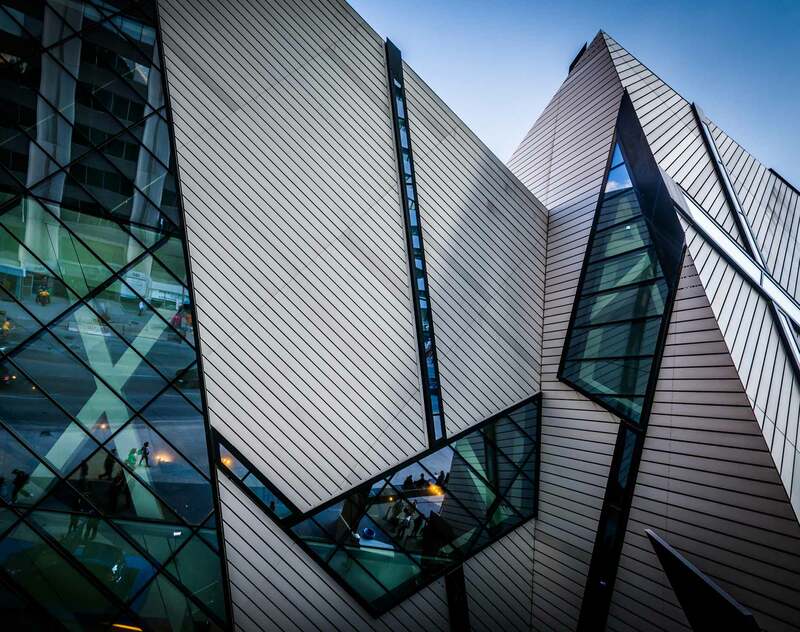 Minto Metropia v. Neighbourhoods of Windfields: Successfully represented Minto Metropia in a summary judgment action involving sale of lands, which resulted in the dismissal of the action in its entirety. Lipson v. Cassels Brock & Blackwell, LLP, 2014 ONSC 6106: Representing the accountants in an ongoing professional liability class action. Hydro One Networks Inc. v. Westinghouse Canada Inc. et al. : Successfully represented the client on interpretation of the indemnity, warranty and contractual provisions to dismiss a part of the action. McLaughlin v. McLaughlin, 2014 ONSC 5046: Representing the lawyer in a professional liability action. Accounting firm: Advising in connection with a complex shareholder dispute which resulted in a favourable muti-party Pierrienger settlement. Accountants, solicitors (particularly in wills and estates related disputes), surveyors and engineers: Representing in connection with professional liability actions and pre-litigation disputes. Confidential client: Representing individuals and solicitors in applications to the Superior Court to rectify wills and other instruments. US fuel supplier: Advising, on an ongoing basis, on supply arrangements, security provisions and debt protection mechanisms in Ontario. Ink manufacturer: Representing and advising on product liability matters including an ink manufacturer in a negligence action respecting its ink products, an electrical company in a property loss action and a truck manufacturer in a personal injury and product liability action. Confidential client: Advising the client on racing regulations, risk assessment and regulatory matters. Representing the client before the Ontario Racing Commission and the Ontario Superior Court of Justice and on enforcement of regulatory matters before the Ontario Superior Court of Justice. Not-for-profits: Advising immigrants in connection with their mortgages, bank guarantees and guarantor agreements. Also advising a not-for-profit by working with homeless on their charitable donations and charitable receipts. National automotive company: Advising on a complex class action involving product liability claims. Several major insurance companies: Acting as appointed Defence Counsel for their Insured individuals and companies in various manners of proceedings including personal injury and product liability actions and fire loss actions. Landlords and tenants: Representing and advising on commercial lease disputes. International electrical automation and construction companies: Advising in connection with various litigation and arbitrations involving contractual contract disputes, delay claims, designing disputes, installation claims, lien matters and warranty claims. Directors and officiers: Advising in connection with environmental liability. Advising on clean up strategies, insurance coverage on environmental matters, regulatory matters and licensing issues before the Ontario Ministry of Environment and Climate Change. Intellectual property matters: Advising clients on trademark, copyright and grey marketing regulations and matters, provide risk assessment on issues of passing off (websites and products) and cease and desist letters. Advising client an international web service provider on risks of publishing, distributing and selling products in various jurisdictions and interplay of international intellectual property convention with domestic Canadian law. University of Western Ontario, 2010, LL.M.